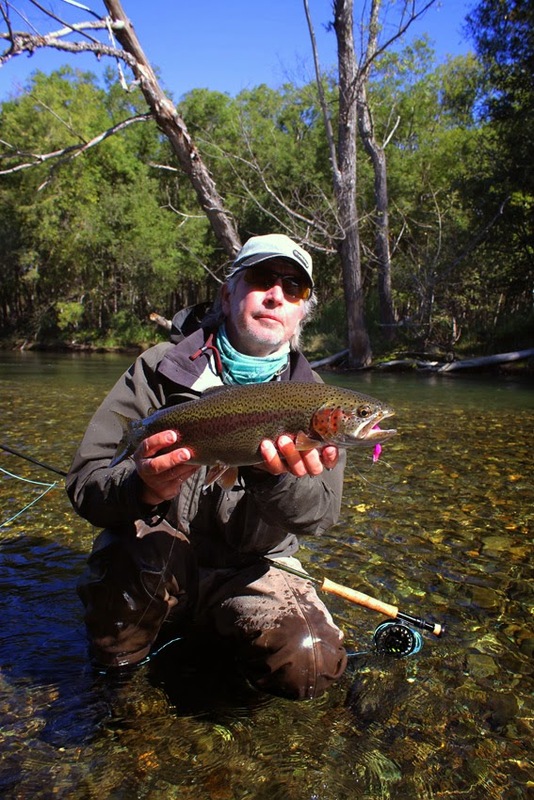 Chavanga Fish Blog: Flies for rainbow trout. 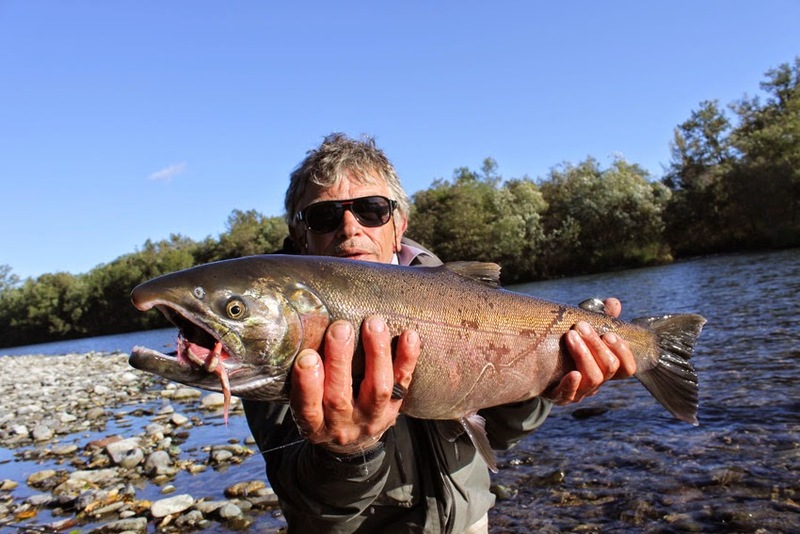 We had enough time to experiment in catching rainbow trout during our Kamchatka fishing trips. 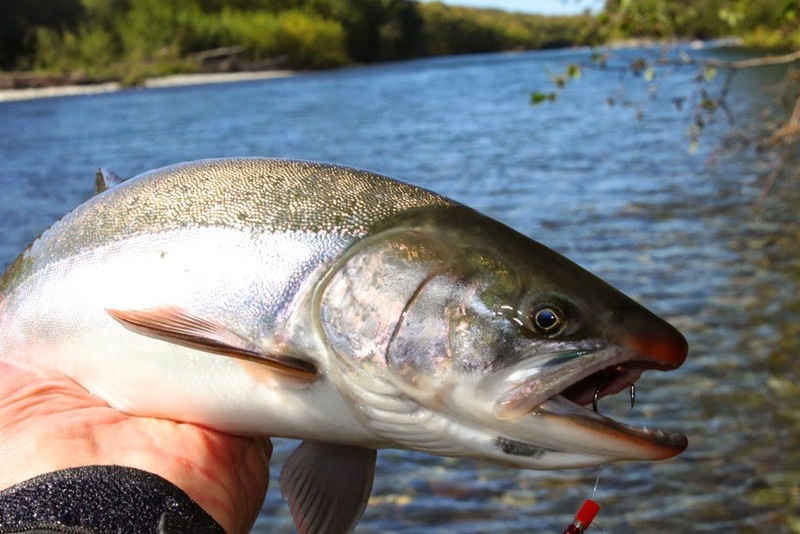 We saw the high density of fish in the Icha river and very low fishing pressure. 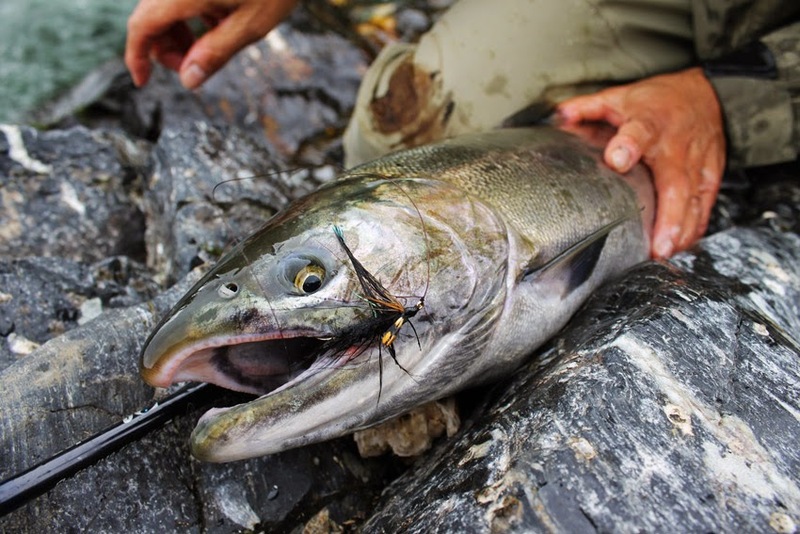 Therefore, you can use almost any fly. 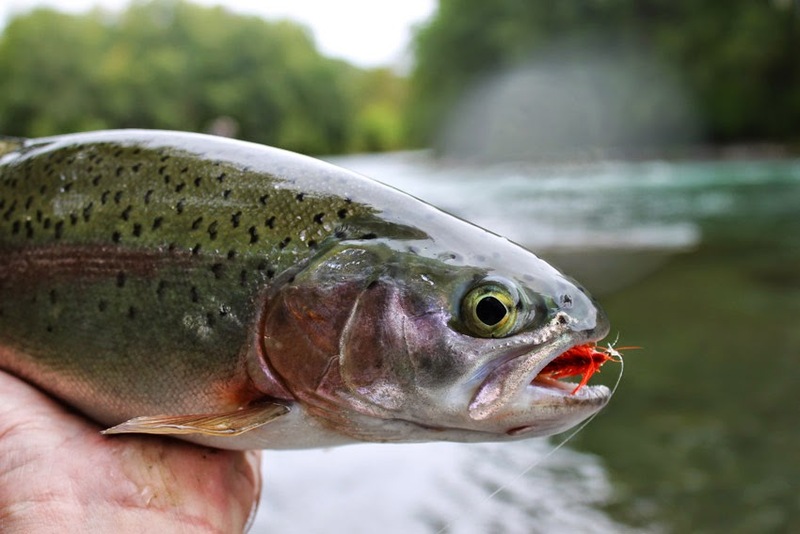 So I will not talk a lot of common words and just share with you my findings about rainbow trout fishing. . 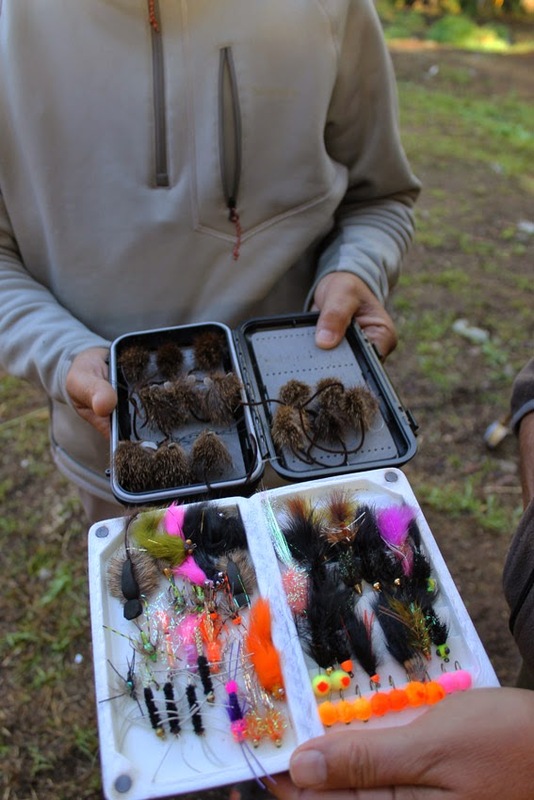 The most suitable technique for catching rainbow trout was aggressive wet fly technique. 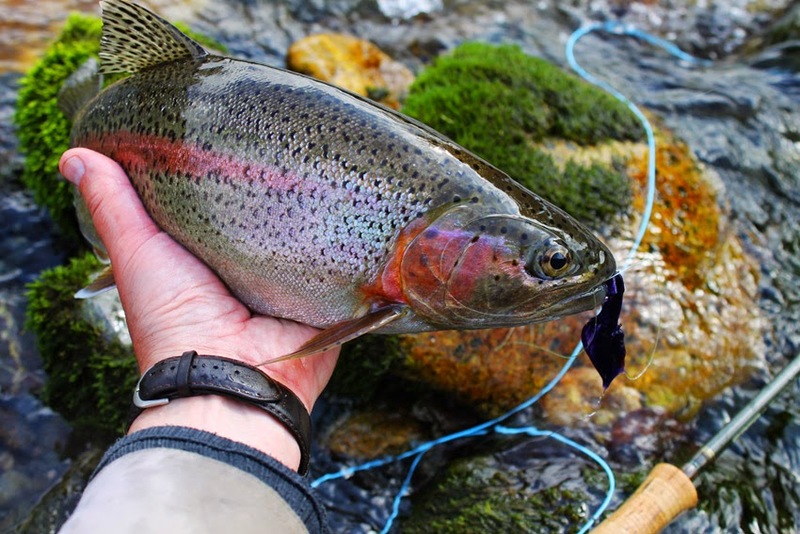 Second place - streamer fishing technique with intense stripes. 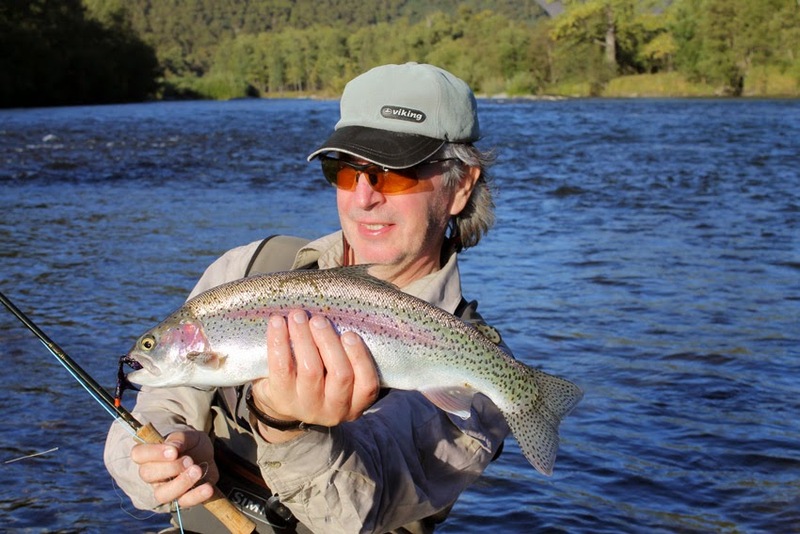 In third place - fishing on the surface to form a groove on the surface of water - mouse fly as you want. 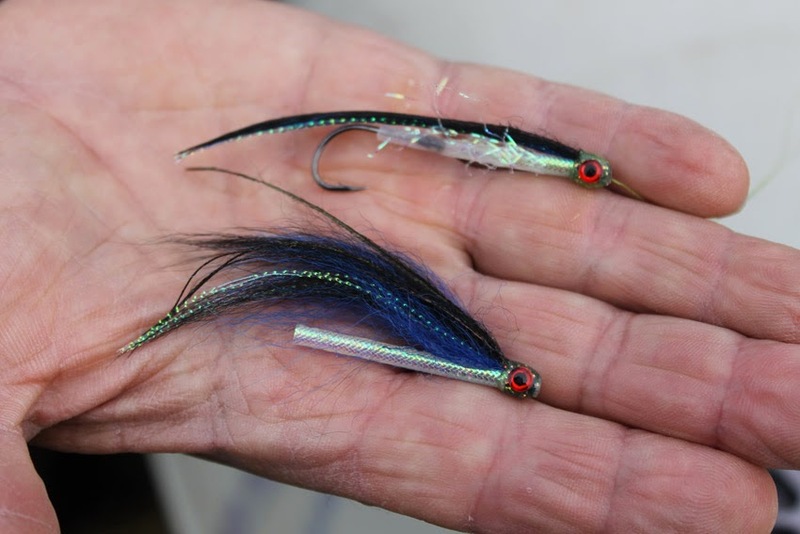 Best horizon for presentation flies - close to the bottom. 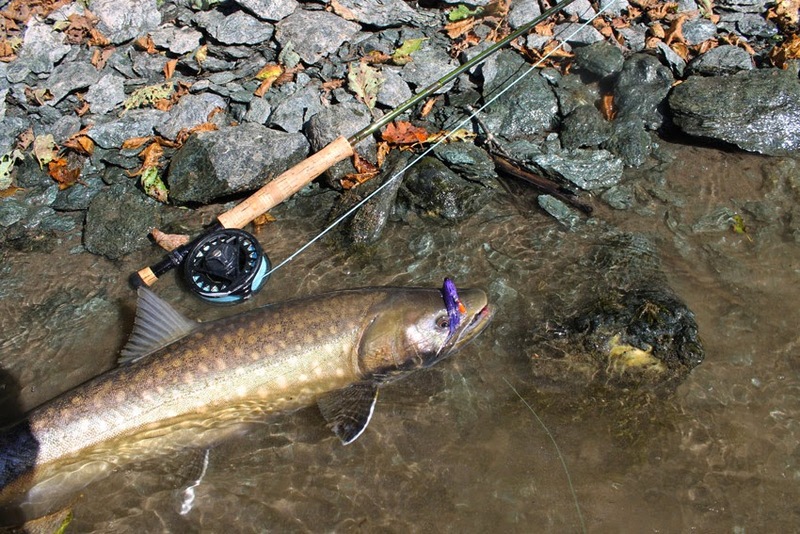 Therefore it is best shown themselves weighted flies with a metal head or eyes, or equipped with a small PB load. I used plasticine with tungsten. Line with a sinking tip and sinking leader worked well. 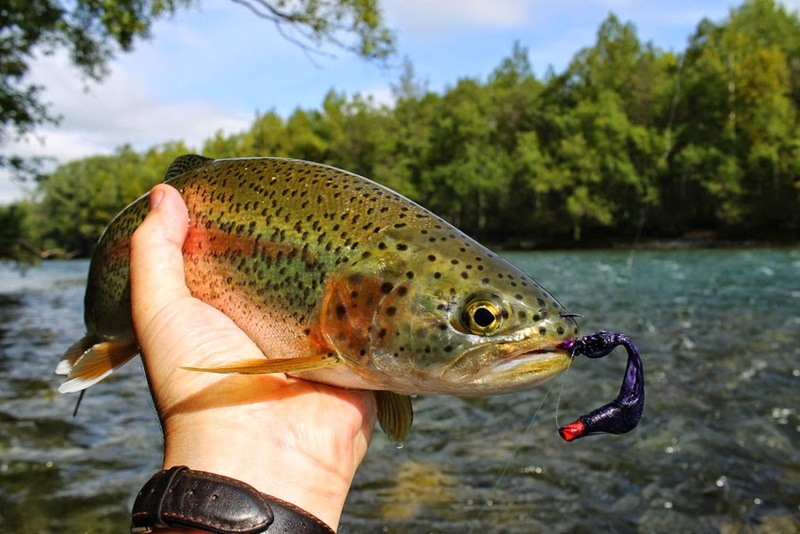 Given a sufficiently large size of flies, the presence of strong currents and large size of rainbow trout - nylon or fluorocarbon fishing tippet must be sized 0,26-0, 28 mm. fishing rods 6 and 7 class were the most appropriate. 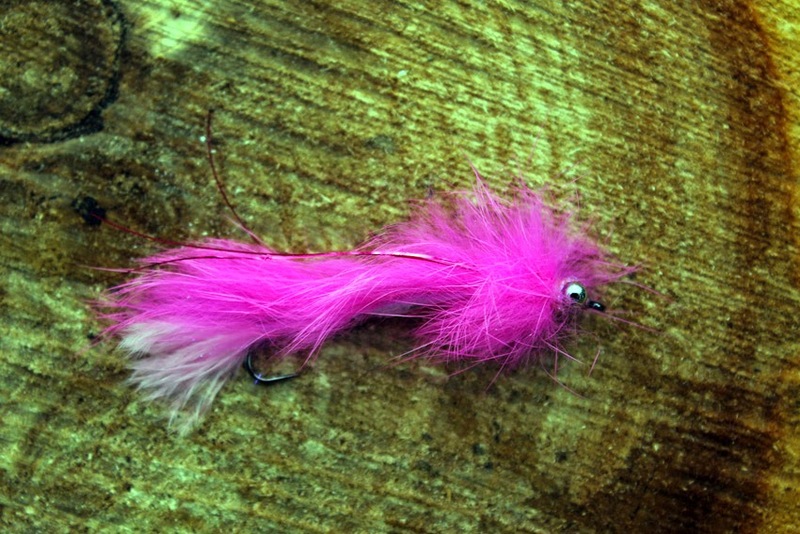 Among the Flies were leeches imitation in black, purple or pink colors. 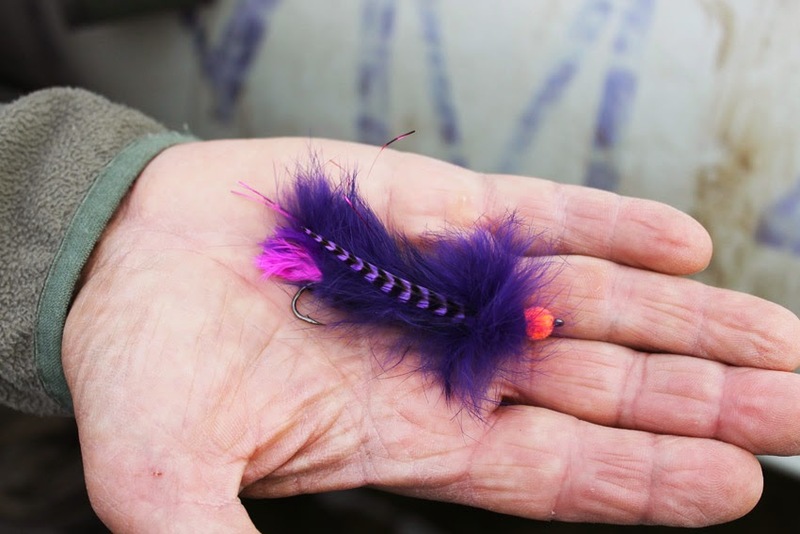 Among the obvious favorites were the purple feather marabou leeches with the red dot at the hook ear - blood suckking leach. . Second place was taken by the fly in pink color that can also be put to simulate the leeches. They are distinguished by the large size and the presence of movable mounting of single hook. 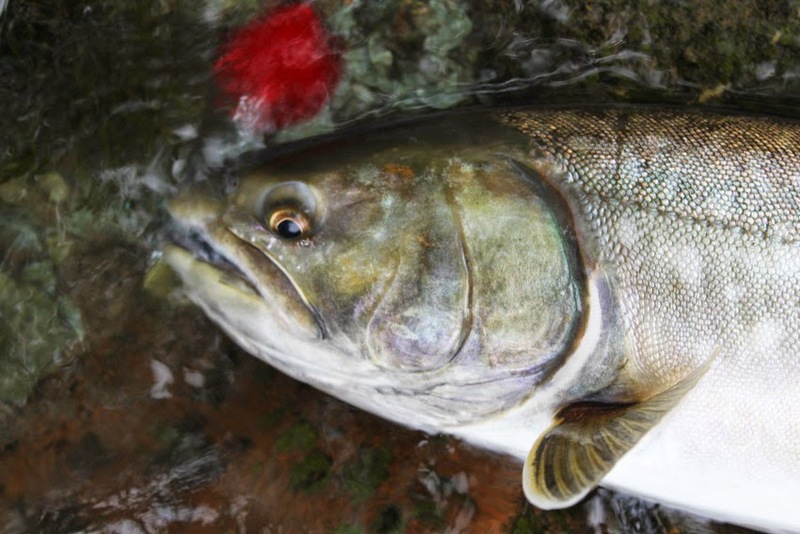 Such flies hooked large fish well and it was easy to release . . in a situation where a lot of fish, that is important. 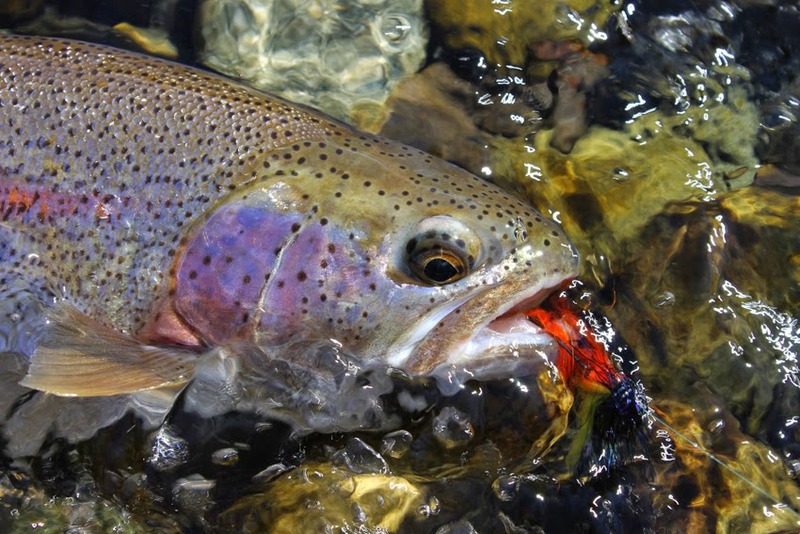 "The most suitable technique for catching rainbow trout was aggressive wet fly technique"
what kind of wet flies ? 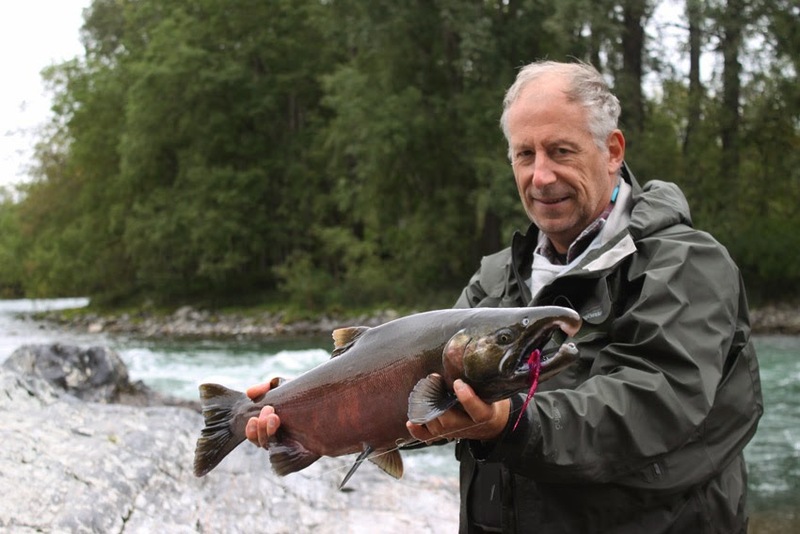 Classic wet fly techniqe is down and acros the river cast 45 - 60 degrees and presentation of a fly with a tight line. 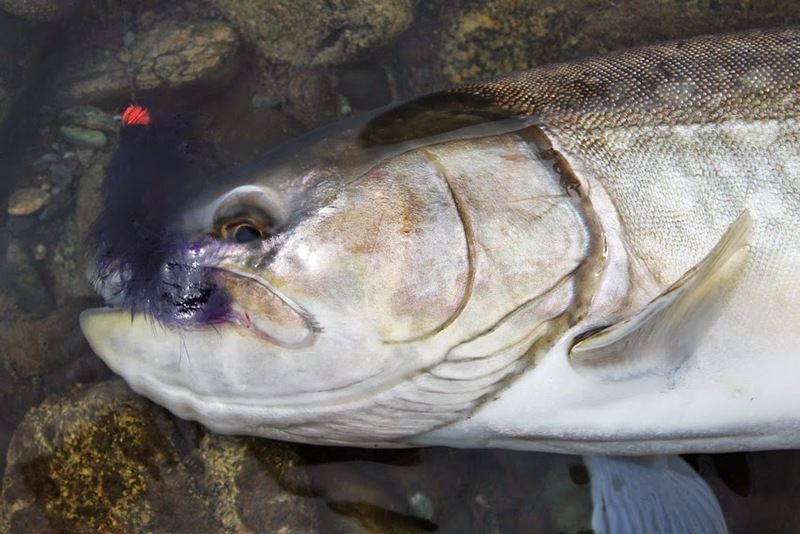 Agressive wet fly- to add some strips, retreives, animation by line or - and rod tip and so on. 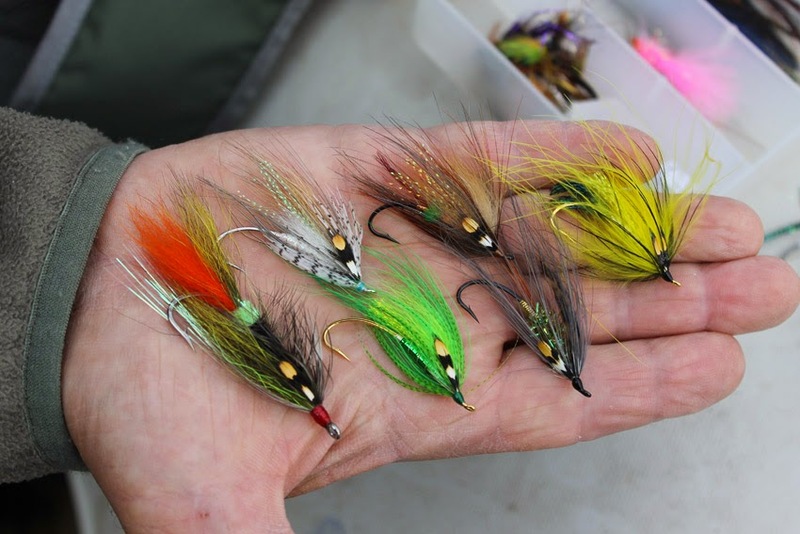 We don`t talk about fly but about presentation, we may use - wet flies and bigger flies as streamer, salmon flies and so on. 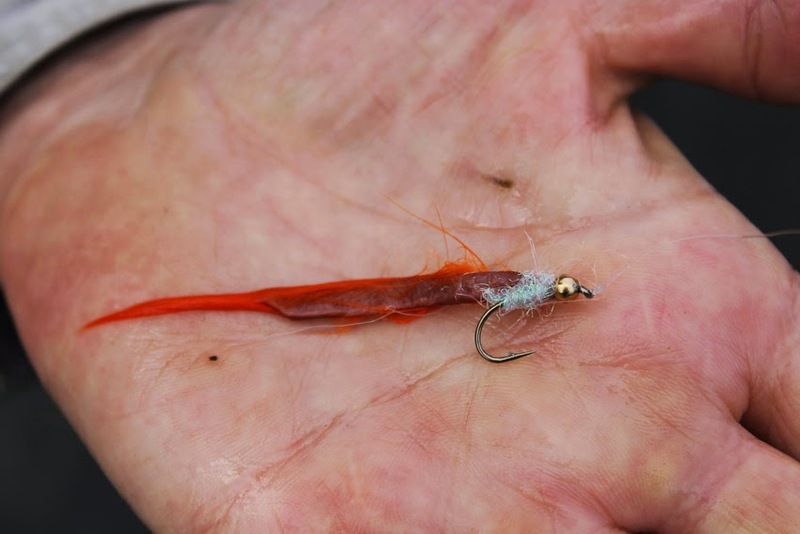 So for rainbow - the best was big marabou leeches in a agressive style presentation. 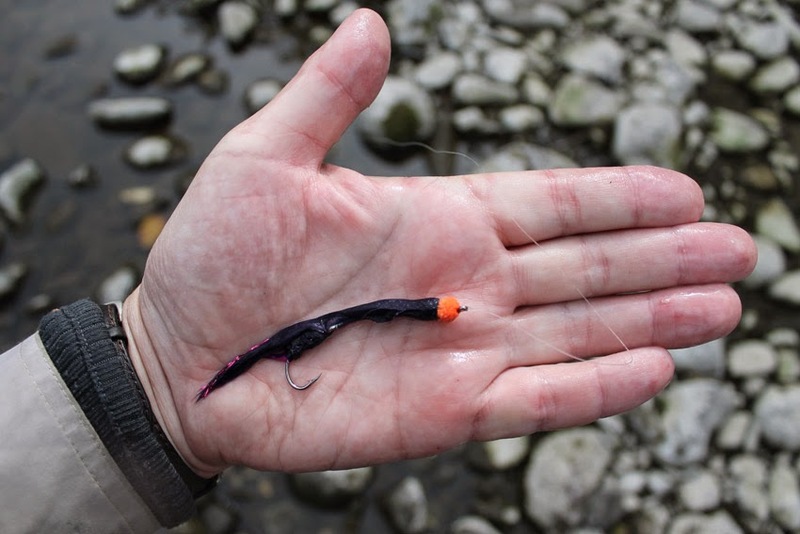 I try wets and small imitative streamers, but agressive style was 4-6 times more effective. 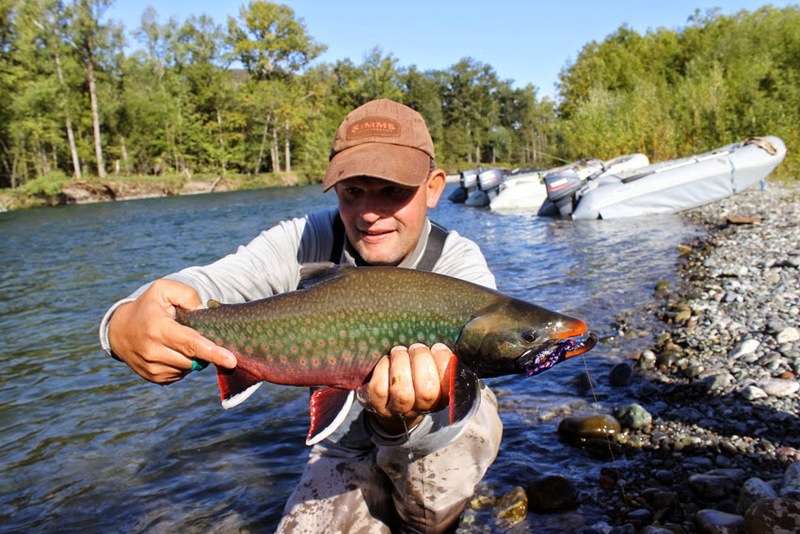 May be rainbows were stupid and very agressive. 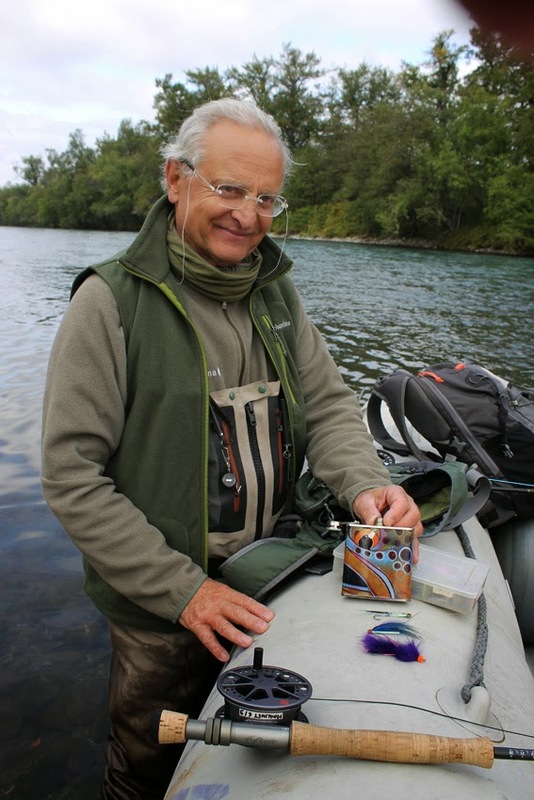 Second " streamer fishing technique with intense stripes" what kind of streamer ? 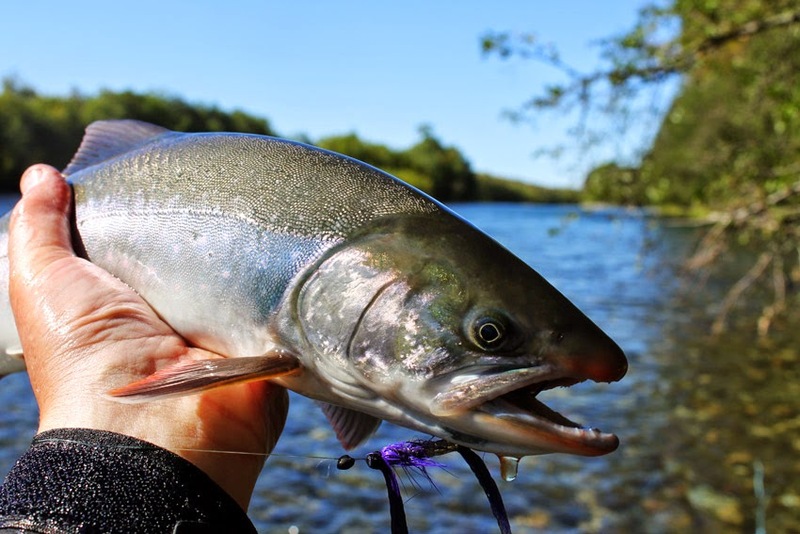 Streamer techniqe usually consist of the same wet cast but with down stream mending to get high speed presentation in an arc or curve. 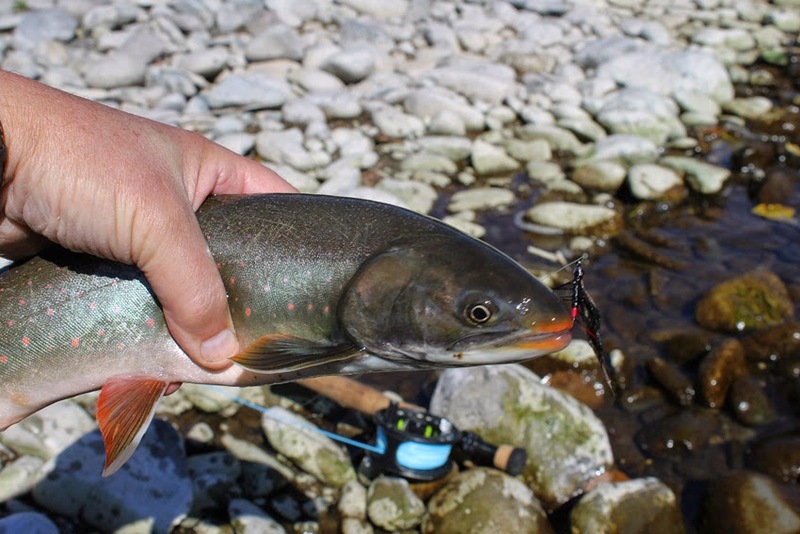 Third : flies for "spotted char"
Big and little bit more heavy flies or deeper presentation. 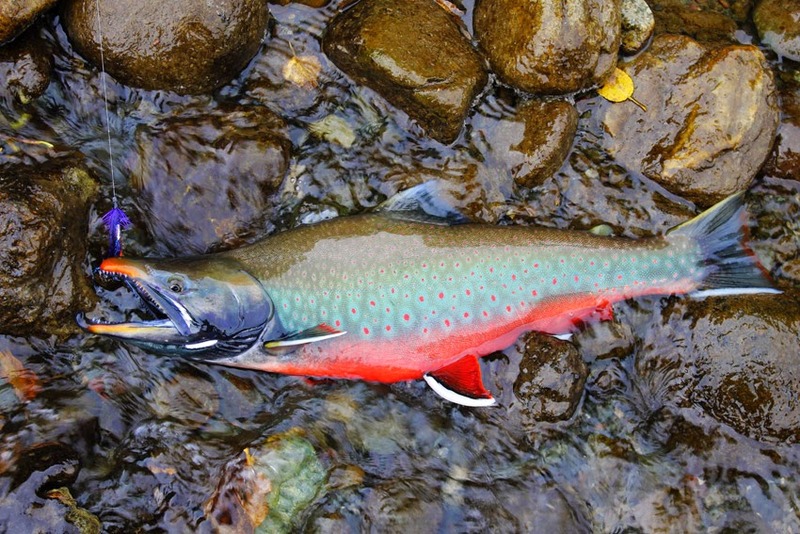 Spotted char usualy takes position in a deep pools or chanelles. 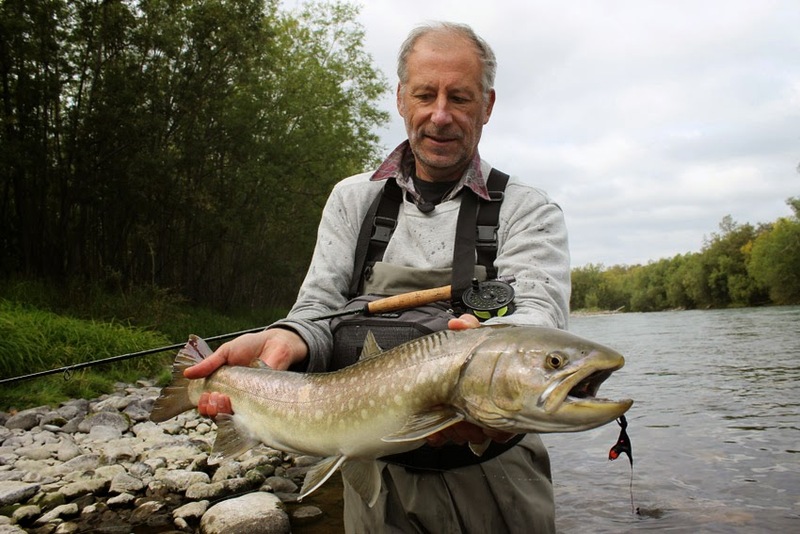 My opinion - spotted char want to have more space, more territory and main stream, the main place of the spot.